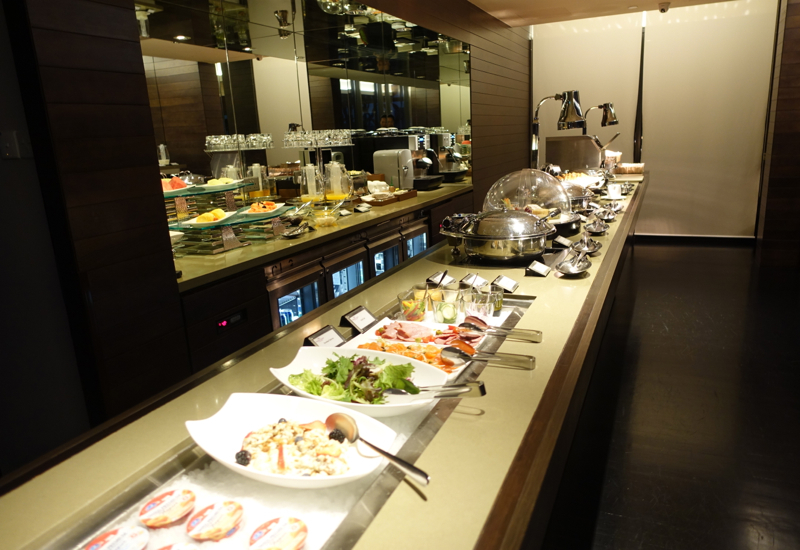 This Crowne Plaza Singapore Changi Airport Review is part of a trip report including luxury resorts in Asia and the Maldives, such as Four Seasons Landaa Giraavaru and Soneva Fushi, as well as Etihad First Class and Emirates First Class. 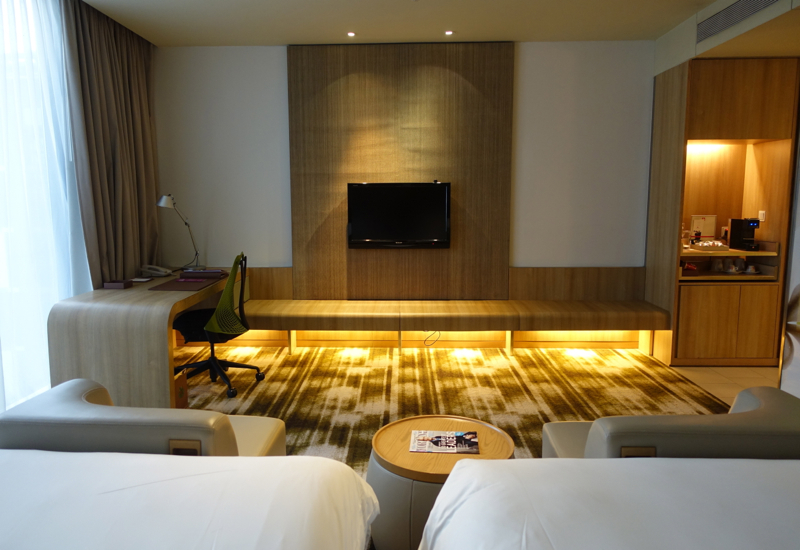 For us, this was a return visit, since we previously stayed at the Crowne Plaza Singapore Airport in 2014, on our way back from Amanjiwo. 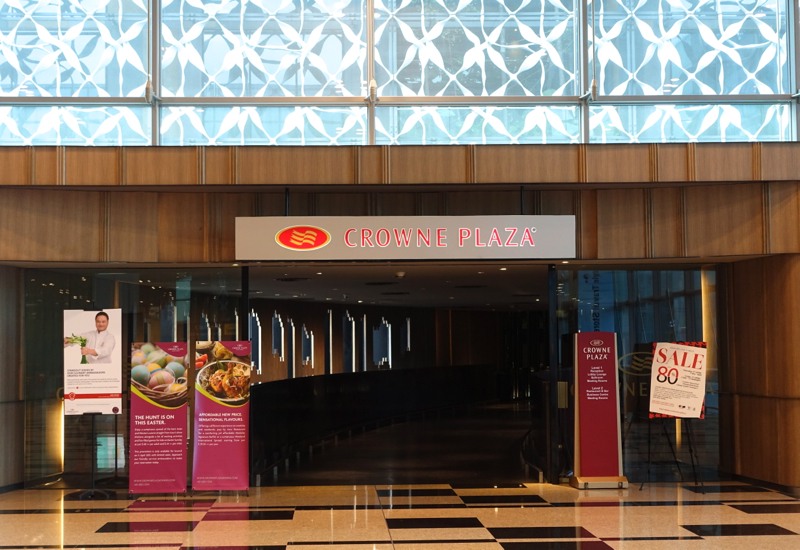 It's hard to beat the convenience of the Crowne Plaza Singapore Changi Airport, which is located at T3. 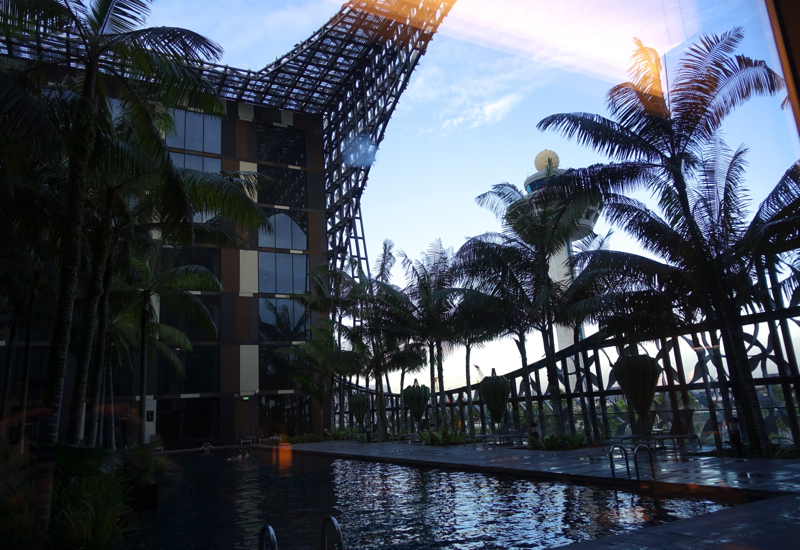 We arrived on a Singapore Airlines flight from Hanoi, cleared passport control, and simply followed signs to the Crowne Plaza. The entrance is near the Skytrain that connects the terminals, although note it's also possible to simply walk between the terminals. We had to wait a bit to check-in, but fortunately Singaporean efficiency meant that it wasn't too long. 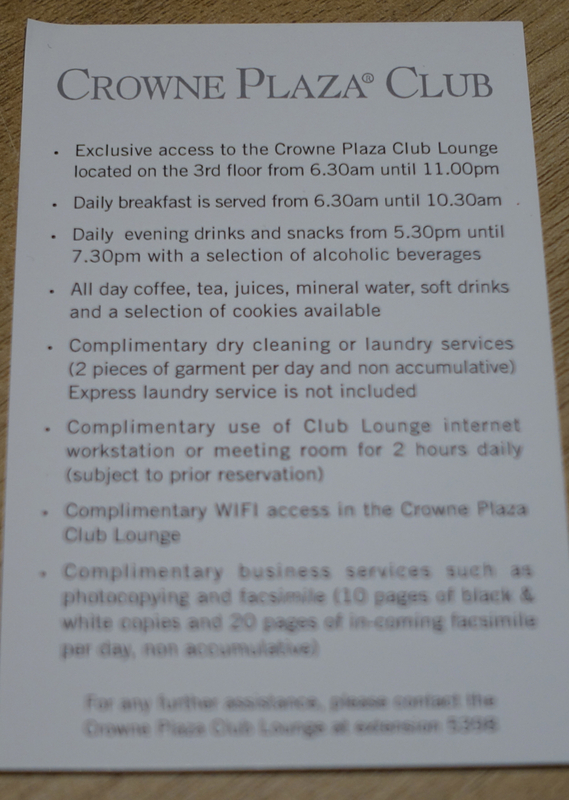 Since we'd reserve a Club Level Room, we received a paper detailing the Club level amenities. Our Club Room was much as we'd remembered from our past visit: clean and quite comfortable for a Crowne Plaza, and particularly an airport hotel. From the entrance, the bathroom was on the left, and the room had a view of the SkyTrain going back and forth between the terminals. 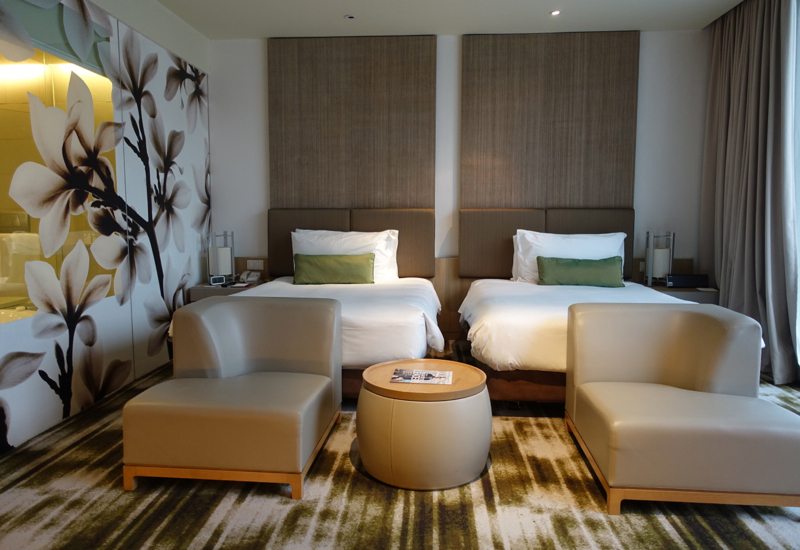 The two double beds were on the firm side, but at least more comfortable than the hard beds at the Conrad Maldives. I do like that there's a shelf below the flat screen TV, convenient for placing small suitcases and bags. The bathroom has a floral design on the glass, but fortunately there's also a privacy blind that you can pull down. Note that there's no separate door for the toilet, which is part of the bathroom. There is a walk-in rain shower as well as a soaking tub, but only one sink, since this isn't meant to be a luxury hotel. 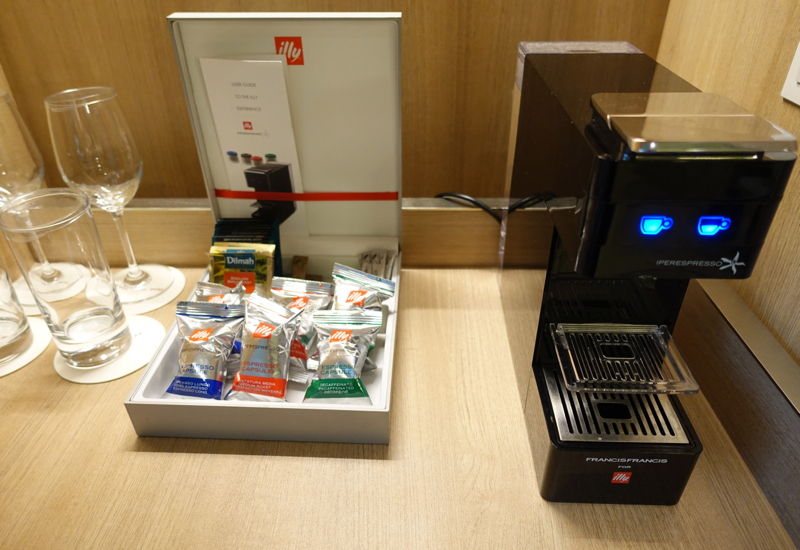 One thing that seemed to be new (or perhaps I just missed seeing it last time) was the Illy espresso maker in the room. The Club Lounge is open 6:30am to 11pm, with breakfast served 6:30am-10:30am and evening drinks and snacks from 5:30pm-7:30pm. 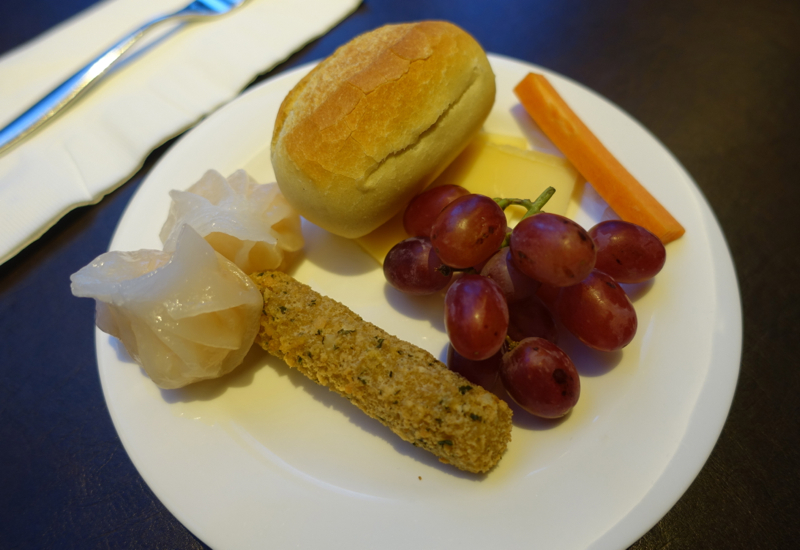 We arrived in time to sample the evening appetizers, and made a light dinner of them. While likely just steamed from frozen, my favorite were the shrimp har gau dim sum, while my son enjoyed cheese, bread and grapes. 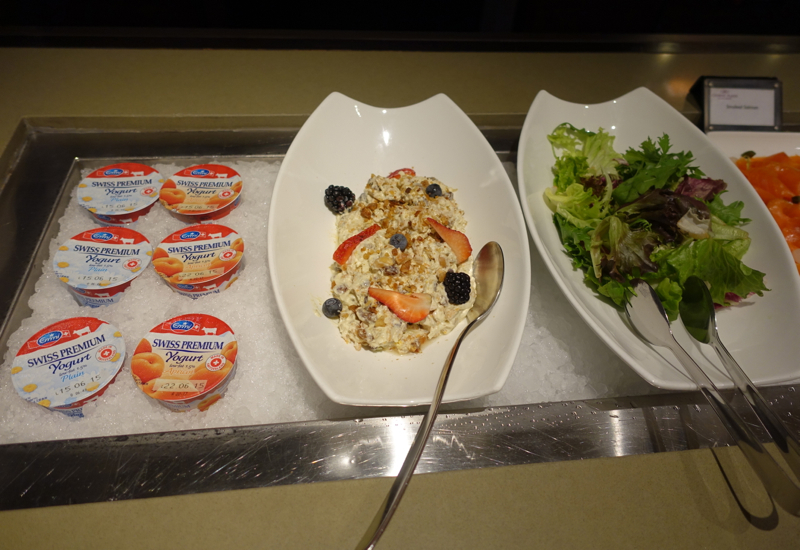 There were also the usual breakfast offerings of eggs, broiled tomatoes, bread and pastries, as well as unappetizing looking hash browns and french toast. The outdoor swimming pool is a highlight for kids and adults alike. Even though it was dark by the time we finished our light dinner and my son had gone down the Slide@T3, he enjoyed swimming and splashing around before a bath, then bedtime. 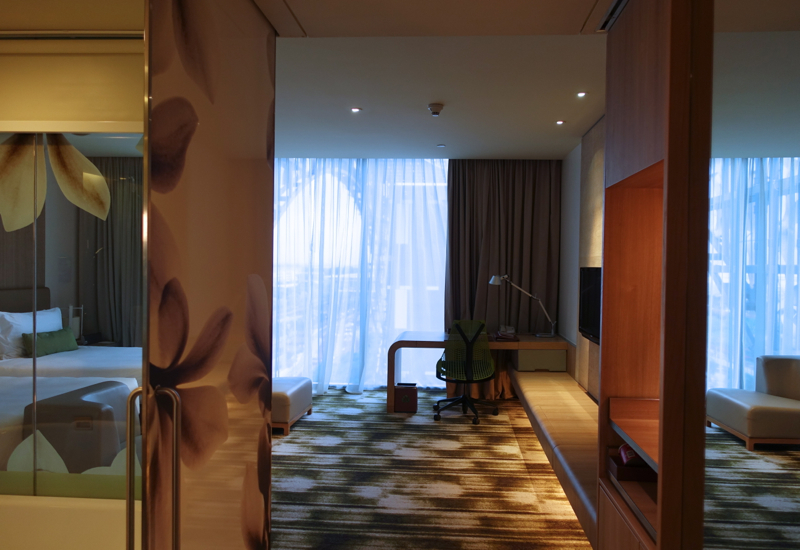 Many airport hotels are frankly appalling, so at the moment the Crowne Plaza Singapore Changi Airport hotel is one of my favorite, without much competition. For us at least, it ticks most of the boxes: convenient and attached to the airport, fast WiFi (which is included for Club Level rooms), clean and comfortable rooms, swimming pool, and the option of Club level accommodation. 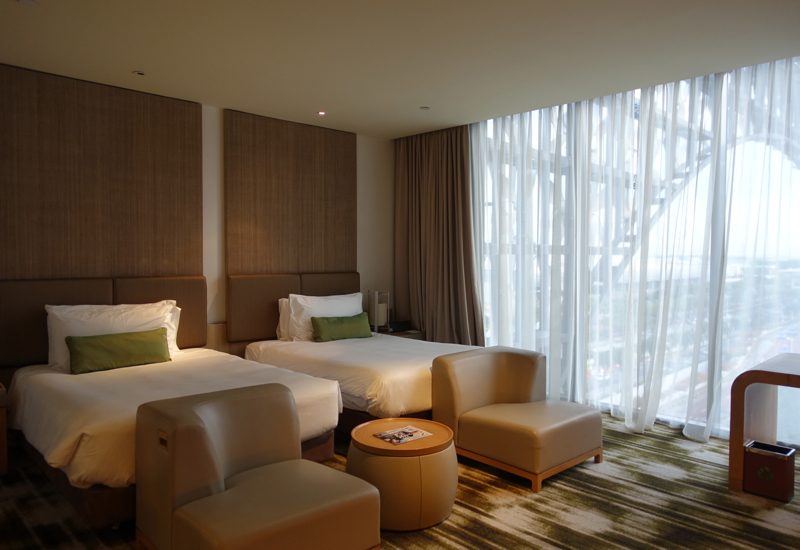 If you've stayed at the Crowne Plaza Singapore Airport, what was your experience? 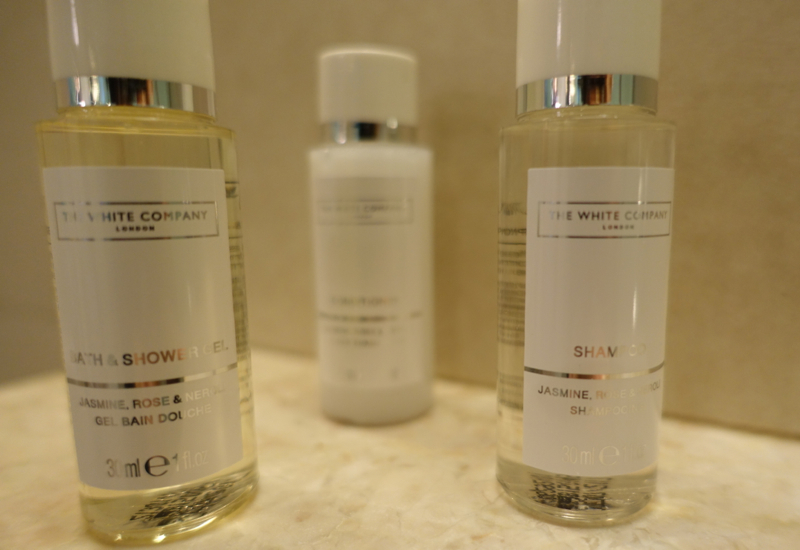 Disclosure: I paid a travel industry rate and the views expressed in this post are my own.